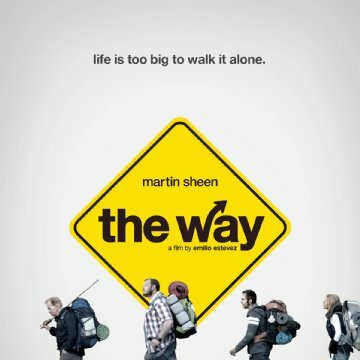 "The Way" is a powerful and inspirational story about family, friends, and the challenges we face while navigating this ever-changing and complicated world. Taglines: Life is too big to walk it alone. 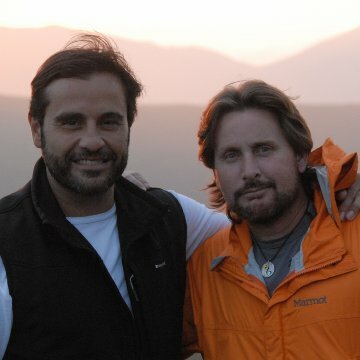 In an LA radio interview on "The Busted Halo Show with Father Dave", Emilio Estevez revealed that much of the inspiration he got for this film was the identical pilgrimage that his father Martin Sheen and his son Taylor Estevez made a few years before on the Camino de Santiego de Compostela in Spain. Estevez' son, then 19, fell in love, moved to Spain, and got married a few years later. Since that trip, Martin Sheen and Emilio Estevez spoke often of how they could make a film about the pilgrimage until an idea surfaced. Errors made by characters (possibly deliberate errors by the filmmakers): At the hay bales, when the group of three meet the Irish author, there are various articles of backpacking paraphernalia spread about on the hay bales, including a container to hold drinking water when hiking, but as they leave no one picks them up. I have looked forward to "the way" since first hearing about it. I heard interviews with Martin Sheen himself and a great double interview with Martin and Emilio on Irish radio. I did a part of the camino in 2009 and It was a life changing/enhancing experience for me so I couldn't wait to see how the film would deal with it. Yesterday I saw the film in the Screen cinema in College Green Dublin. The film is, in my opinion, very true to the camino experience. A previous reviewer trivialised it as "a road movie" and suggested "wizard of Oz" characterisation. The camino "road" has been travelled for over a thousand years. Long before "road movies" were even thought about and yes, any story of fellow travellers sharing their stories on a journey, can be similar to the "wizard of Oz" but I think Chaucers "Canterbury Tales" is probably the true origin of the species. The camino de Santiago in its reality, and in this film, is a wonderful kaleidoscopic confluence of humanity. Pilgrims seem to self-select for certain character traits such as eccentricity, other worldliness, joyfullness, adventurousness, hurt, curiosity etc. Tom's companions were all from the palette of characters I found on the camino. Tom himself was an accidental pilgrim and only at the end of the camino did he allow himself to fall in love with it like the others. 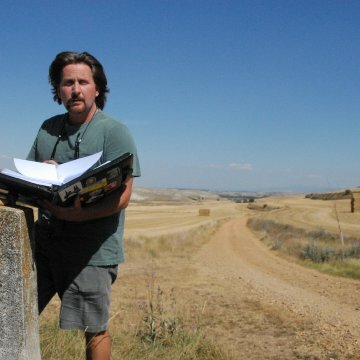 Tom, the cynical skeptic, driven to put one foot in front of another as a way of dealing with the brokenness of his relationship with his son and the trauma of his sudden death, allows the distance required to allow viewers share in the journey of the Camino in a way that could not have been achieved by following four "ordinary" pilgrims, no matter how colourful. Tom was the "straight man", the foil, that allowed the full colours of all the other characters to shine through. I thought it was a brilliant piece of cinema. Ole!